The study of psychological trauma has been accompanied by an explosion of knowledge about how experience shapes the central nervous system and the formation of the self. We have learned that most experience is automatically processed on a subcortical level, i.e. by “unconscious” interpretations that take place outside of awareness. Insight and understanding have only a limited influence on the operation of these subcortical processes. When addressing the problems of traumatized people who, in a myriad of ways, continue to react to current experience as a replay of the past, there is a need for therapeutic methods that do not depend exclusively on understanding and cognition. This process identifies and releases transgenerational trauma. This simple process consistently uncovers connections between present day issues and transgenerational traumas. Within a single session, the burden of memory is transformed into an enduring source of strength and healing. This workshop will provide a Socio-cultural view of trauma, highlighting the dynamics of the intersection of oppression and trauma. Strategies for effectively engaging and treating individuals and families with ‘oppression trauma’ will be discussed. 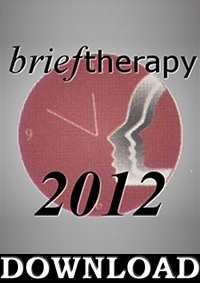 Relevant Self of the Therapist issues will be explored. Neuroimaging and EEG measures of traumatized individuals show significant changes that must be taken into account for treatment to be effective.